Thousands of Malians protested on April 5 against the government’s inability to curb ethnic and religious violence. The massacre of some 157 people on March 23 marked one of the deadliest events in a steady escalation of violence that has rocked Africa’s Sahel region over the past year. Malian authorities have arrested five individuals who reportedly entered the ethnic Fulani herder village dressed as traditional Dogon hunters before carrying out the attack. The government has also responded by sacking two generals and officially disbanding Dan Na Amassgou, an anti-jihadi vigilante group whose Dogon hunters were suspected of perpetrating the massacre. The United Nations (UN), which had a delegation visiting Bamako that same day, strongly condemned the attack. The UN Mission in Mali, known as MINUSMA, dispatched a team of 10 human rights specialists, a child protection agency, and two investigators to conduct a special investigation. Chief Prosecutor of the International Criminal Court (ICC), Fatou Bensouda, has postulated that the massacre could fall under the purview of ICC and has assured that a delegation would investigate the killings. Central and northern Mali has become a hotbed for ethnic and jihadi based violence, particularly following a separatist rebellion in 2012. Seeking independence for the so-called northern province “Azawad”, a coalition of Tuareg factions battled Malian authorities in an insurgency that saw rebels occupy various significant cities. 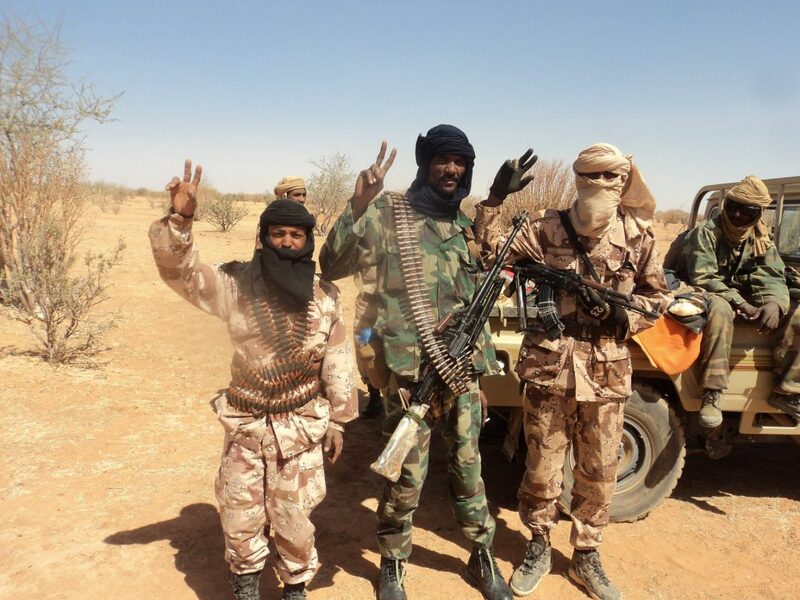 To this day, the Coordination of Azawad Movements (CMA) and the Platform of armed groups (the Platform) are the two main militia groups representing the rebel factions. Islamist fighters linked to Al Qaeda seized on the disarray in 2012 and launched a number of assaults, claiming key towns and using Mali as a springboard for operations into other countries in the region. The Islamist groups were eventually driven from large swathes of territory in 2013 following concerted international military efforts. The French-led Operation Serval, also launched in 2013 and comprising roughly 4,500 personnel, was integral in dislodging jihadi presence from key strongholds. Known today as Operation Barkhane, French security forces maintain an important counter-terrorism mandate and were recently responsible for the assassination of key jihadi leader Amadou Koufa. Responding to the French intervention and international presence, jihadi militias devolved into smaller agile groups operating in rural areas, occasionally winning the support of local populations by providing basic services, infrastructure, and protection from bandits. In June 2015, the Agreement on Peace and Reconciliation in Mali was ratified in Bamako. This accord, signed by the government and representatives from the CMA and the Platform, aimed to bring peace to the Azawad region. The myriad provisions included greater autonomy to northern authorities through establishing regional mediatory institutions, defence and security reforms, and integration between groups. A product of immense international pressure, the agreement did not receive unanimous support within rebel groups and failed to include key regional stakeholders. Despite recently intensified efforts, progress towards the agreement’s goals has been slow. The absence of regional institutions is notable and although local groups and state authorities have executed joint security patrols, the group composition of such patrols is a constant source of dispute. Governmental accords aside, ethnic and jihadi violence has been steadily increasing in Mali despite considerable international presence. The Armed Conflict Location & Event Data Project recorded 547 fatalities in attacks on civilians in the last five months, a more than four-fold increase on the same period last year. Often working in symbiosis, the protracted Islamist insurgency and escalating ethnic tensions present twin security concerns to Malian authorities. Jama’a Nusrat ul-Islam wa al-Muslimin’ (Support Group for Islam and Muslims), an umbrella militant jihadi organisation encompassing various local Islamist groups, including the Saharan branch of Al Qaeda in the Islamic Maghreb, is the main culprit of Islamist violence. The group often hardens local ethnic rivalries and benefits from rendering swathes of Mali ungovernable. Conflict and division between ethnic groups also boost the group’s recruitment numbers and enhance its legitimacy in its local communities. Ethnic division between Mali’s traditional Dogon (a.k.a. Dozo) hunters and Fulani (a.k.a. Peul) herders has become perpetual in central and northern Mali conflict. Disputes regarding grazing cattle and access to land or water are constant instigators of violence; increasingly, Dogon villages accuse the Fulani of harbouring or supporting terrorists. The decision by authorities to defer the apprehension of jihadi groups to local armed vigilante groups are, in part, responsible for the recent upsurge in ethnic violence. 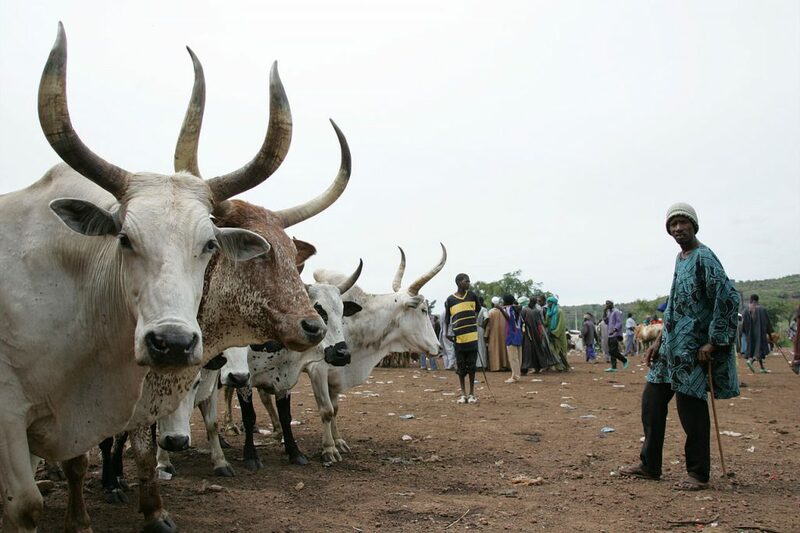 The increasing perception of the Fulani as terrorists has led some observers to note that, although ethnicity does not characterise the conflict in northern Mali, it has become increasingly important to it. The lack of a political framework, limited state presence, and discord between actors inhibits Mali’s ability to stabilise its security situation. However, the military services at the administration’s disposal will be essential in maintaining some form of security apparatus. Perhaps suffering the hangover of trying to “impose peace” in the 2015 accord, Mali’s limited progress in establishing local authorities to mediate municipal issues leaves the countryside susceptible to continued ethnic and jihadi violence. Recently, ten district level administrations were established in the north, although for such a vast and trouble-prone region, this is still a far throw from the density of municipal level assemblies that were promised. Such limited development is discouraging for central and northern communities that already lack faith in the state authorities. Without any access to means or recompense for crimes perpetrated against them that could be delivered through regional assemblies, the current strife in countryside polities will maintain. In the coming years, the slow pace of development will steepen the struggle to establish regional authorities. As noted by analysts, the longer that armed groups who reap the fruits of undemocratic representation and illicit trading remain entrenched, the more difficult the erection of respected, municipal institutions will be. The lack of cohesion between actors at the local level stifles the prospects of effective and coordinated strategies for rehabilitating Mali’s countryside and removing the jihadi presence. Besides the tribal clashes between the Dogon and Fulani tribespeople, internal tensions between the CMA, Platform, and groups excluded from the 2015 accord detract from cooperative approaches towards development and counter-terrorism. For example, the detail and composition of joint military patrols between armed citizen groups, such as CMA, Platform, and Malian authorities (among others), is an enduring source of dispute, occasionally spurring violence in itself. Although these smaller-scale conflicts might seem frivolous, they are indicative of unaddressed grievances between extrajudicial armed groups that hinder regional coherence and stoke the resentment that jihadist groups feed on. A promising note for Mali’s future is that it will maintain a strong foreign skeleton of security support. In particular, the UN and the French military are entrenched in the embattled nation. Mali’s prime minister recently urged the UN to maintain its 16,000 strong mission in the country, and despite it being the deadliest UN mission on record, MINUSMA shows no sign of leaving. Along with the peacekeeping force, Mali will continue to enjoy the infrastructure, investigators, and worldwide exposure that the UN provides. The sustained French Operation Barkhane will also provide ongoing benefits. French forces have achieved a series of military successes, ranging from militant disruption to leadership assassination. At times stepping outside of the role of capacity building to personally undertaking operations, the French military is, and will continue to be, a crutch for the government security apparatus. 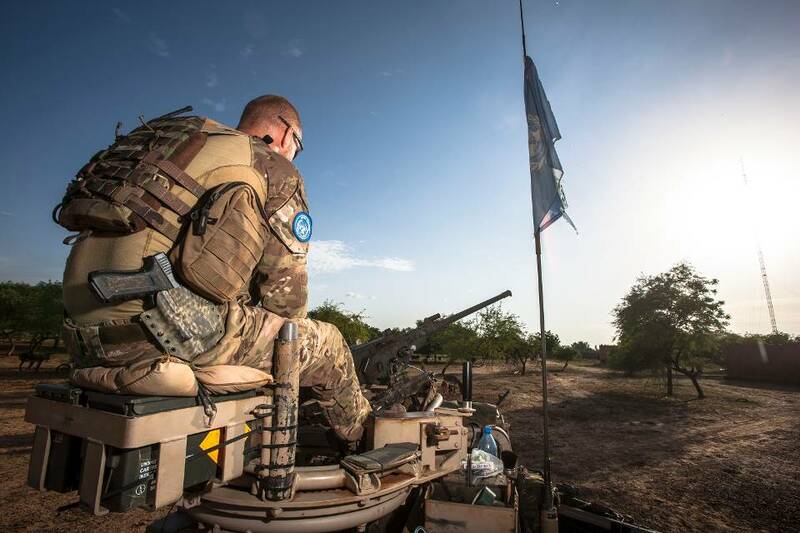 The coalition of military forces available to Mali’s administration can assist in day-day-day peacekeeping, but the lack of institutional justice or social representation leaves Mali’s countryside susceptible to ethnic and jihadist violence.